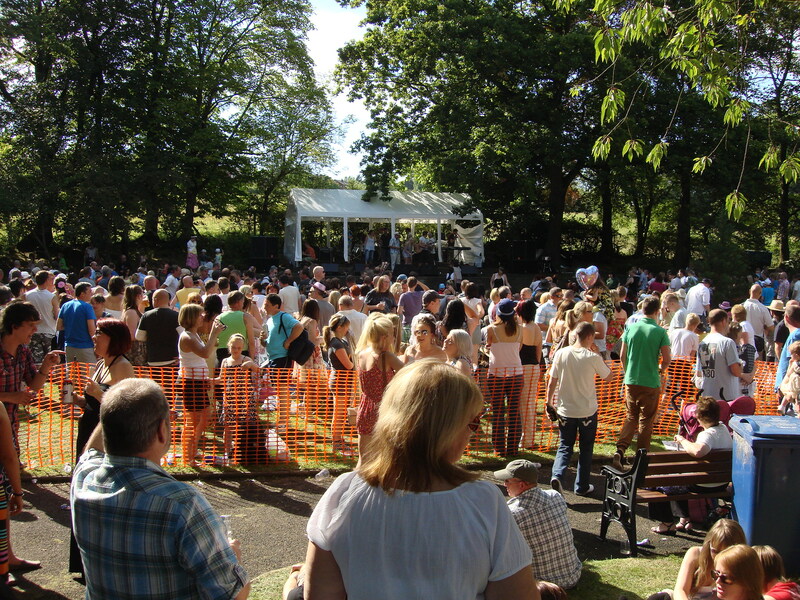 OK it might not be Glastonbury but for Tottington it is fast becoming a summer favourite for thousands of people who this year were able to enjoy an afternoon’s entertainment in the sunshine. Whitehead Gardens was packed for most of the afternoon and I know that so many of the small charities and organisations represented at the various stalls were delighted with the attendance and all were able to raise funds for their respective organisations. This really is the Big Society in action. No public subsidy, no private companies making any profit [ not that there is anything wrong with either of those things in the right circumstances!] just a group of individuals getting together to do good. I particularly want to thank the local authority for allowing the road to be closed and for the police and fire services for their continued support. This entry was posted in Local News and tagged Music in the Park by David Nuttall. Bookmark the permalink.